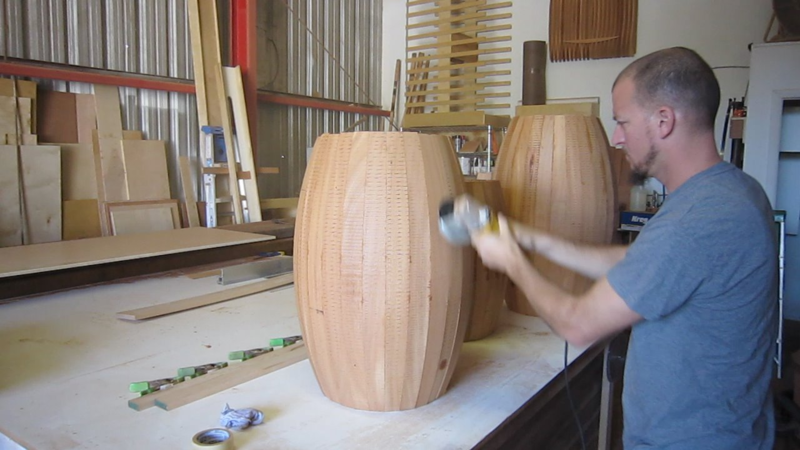 I grew up in Fort Lauderdale and found a passion for building things early in life, woodworking came naturally. Today I design and build custom wood sculpture, lighting, furniture, and cabinets, for yachts, homes, and offices. I absolutely love what I do. I enjoy building, creating, and designing, and take my time doing it, so when everything comes together you can appreciate my work. I pay special attention to detail and I believe the way I feel when I’m creating will show in the finished pieces I produce. When I’m not in the woodworking shop, you can usually find me at home with my three children. I enjoy nature, art, comedy, and good food. My hope is that through woodworking I can leave something behind one day and leave something with you that can be cherished for years to come.